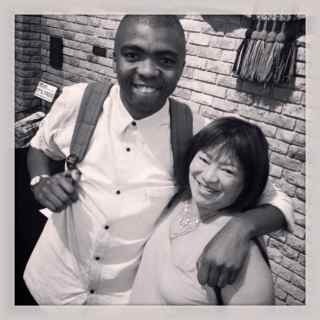 Super fab, super fine and superfly, Loyiso Gola made us all laugh heartily at ourselves tonight … with […insert drum roll here please…] absolutely no guilt! Avoiding the old topics – the PWs, the koeksusters, the FWs and the mothers-in-law – was clearly no effort for him. It was more than his perfect Model-C accent that made all his material feel relevant and freshly baked just for his homecoming to the Mother City at the Baxter Theatre. Everyone – whites, blacks and all those between, even Julius and Jacob (the two funniest guys in SA) – got ragged incisively yet gently, never brutally. The truth is: Most of the time we were laughing at ourselves. 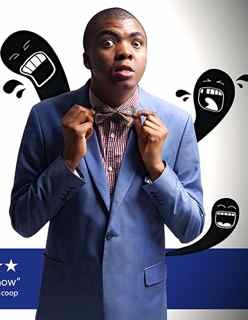 This trendsetter, who is originally from Gugulethu, may seem like a new kid on the comedy block but he is already quite the international superstar. Late Night News, the South African news parody show he hosts, is nominated for an Emmy in next week’s international awards (Watch this space). From humble beginnings performing with the Cape Comedy Collective on the Cape Town comedy circuit while he was still at school, Gola has gone on to perform at major festivals and events from Edinburgh to New York and Dubai. Loyiso Gola is at the Baxter Theatre from 19 to 23 November. Tickets from Computicket.